Home > Reviews > Is World Ventures Travel Club A Scam? Is World Ventures Travel Club A Scam? 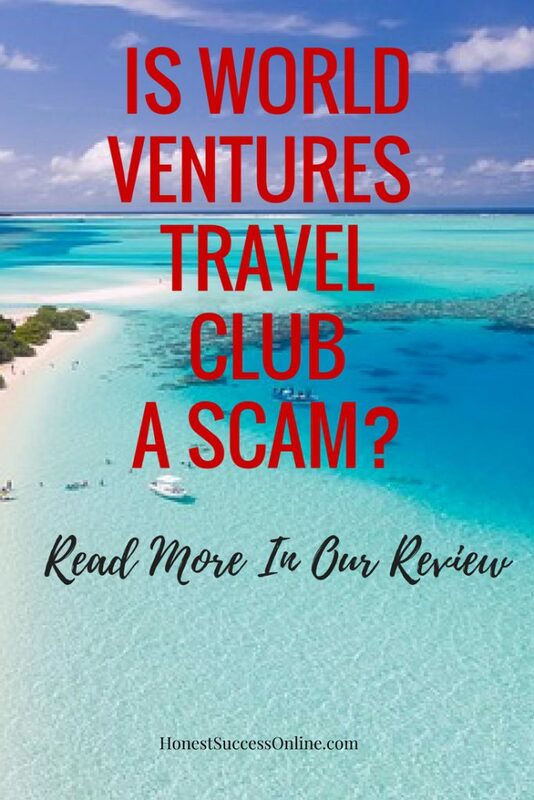 Welcome to my review ‘Is World Ventures Travel Club A Scam?’ which many people have been asking in various forums especially by people who are interested in the business opportunity World Ventures has to offer. Everyone loves to travel or at least dreams about it. Traveling overseas is on the bucket list for many but turning it into reality is a different story that highly depends on factors like work commitments and the financial situation. That is exactly where the World Ventures Travel Club comes in with their emotional advertising of beautiful images of exotic places with the tag line “you should be here”. So what is the World Ventures Travel Club all about? My review will shed light on the different memberships but more importantly looks at the business opportunity of becoming an “Independent Representative” for World Ventures. Not only I am going to answer the question if World Ventures Travel Club is a scam but also show you an alternative business opportunity. Read more about my #1 recommended way of building a successful online business. The World Ventures Travel Club offers discounted travel packages and travel related services to their members. People who are selling the membership are called Independent Representative and can earn a commission based on a complicated compensation plan. The founders of this Texas-based MLM company are Wayne Nugent and Mike Azure who have been involved in running several MLM companies prior. The World Ventures Travel Club has been in business since 2006 which is quite a long time and is an indicator that despite very mixed reviews the company seems to be doing okay. When I did my research about this company I have come across some glorifying reviews but also a lot of complaints regarding their products as well as the business opportunity. Before I go into more detail, let’s have a quick look at the different membership options. 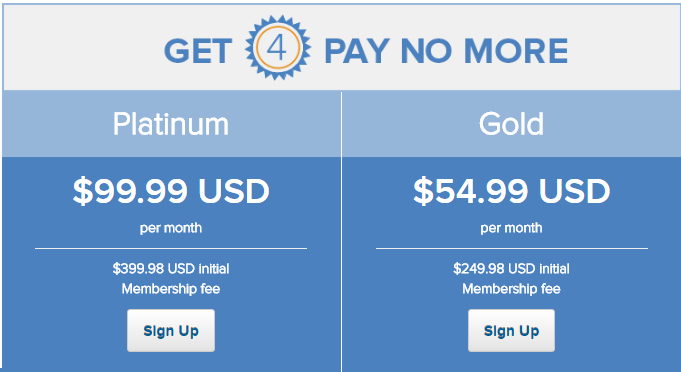 There are two membership options with the more expensive Platinum and the Gold membership. The initial fee of $399.98 plus $99.99 a month (Platinum) and $249.98 plus $54.99 (Gold) is a lot of money to pay just to be able to book discounted travel packages. These travel deals don’t include flights so these need to be booked separately. Unfortunately, if you are not a member of the travel club, you can’t see how much the packages cost so you don’t know how much you can actually save compared to travel deals available through travel search engines like Expedia, Travelocity, or Trivago. As an experienced traveler myself, I doubt that you can save a lot of money with World Ventures Travel Club especially with these substantial ongoing monthly fees and initial one-time fee. Even though, each dollar spent on the membership fees earns you DreamTrips points. You can only redeem a certain percentage of your purchase price. As a Platinum member, you can redeem 20% more points. Way to complicated for my liking so I personally would stay away from becoming a member. Does it mean the memberships are a scam? Certainly not, but I doubt that you get the value for your money with World Ventures travel deals. $1600 a year just to pay for the Platinum membership is a lot of money. Instead, you could use it for your next flight to Europe. Just a thought! The business opportunity of selling memberships to people who love traveling sounds promising and enticing. As with any other MLM company you’ll get lured with the chance of cars and paid vacations for big sales, bonuses and so on. As I mentioned before, the compensation plan is complicated, so here is a video that will explain it to you better than I ever could. Please note that some of the prices (e.g for the membership) have changed since the video was published in 2017. But I am sure you still get a good idea of the compensation plan. In summary, the startup costs for becoming a representative are as follows: Platinum membership $399.98 (one-time fee) plus monthly ongoing costs of $99.99 plus $99.99 one time RSB fee (Representative Business System) plus $10.99 monthly for staying active. All up you’ll need to invest around $610 to get started. After the initial payment, it will be a monthly expense of $110.99 to stay active and also to hold your monthly Platinum membership. There seems to be a lot of training for sales representatives available either as online courses but also in form of big conferences with motivational speakers. Well, you’ll need a lot of motivation and training that’s for sure because selling such an expensive membership in big numbers is not easy. How many people do you know would invest in a membership of $400 plus ongoing monthly expenses? And how many people do you know would not only become members but also invest money to be part of the business opportunity? As a matter of fact, here is a screenshot about how many people actually made money with World Ventures. World Ventures catch phrase “Make a living while living” seems quite ironic to me. Lots of people invest their hard-earned money into this business only to find out that it may not worth their time and may even put financial pressure on their families. It seems that multi level marketing still attracts a big crowd of people who are hoping to make big money. But the reality is far from it. Read more about a real business opportunity (without recruiting or selling) that will earn you residual income for years to come. Let’s get back to our initial question if World Ventures is a scam. From what I have researched, World Ventures has got a product to sell (a membership to get discounted travel packages) and offers a business opportunity via multi level marketing to everyone who is willing to pay for the high start up costs plus ongoing monthly expenses. Is it a scam? No. Can you earn money with It? No, only some people make big bucks but the majority (over 77%) don’t make any money at all. It is up to the individual to make a decision whether they want to join World Ventures or not. I hope that my review has given you a good insight and has helped you to make an informed decision. Have you had any experience with World Ventures? Please let me know in the comment box below. Are You Looking For A Real Business Opportunity? and learn everything about affiliate marketing. No Selling/No Recruiting – Promise! Next Post Poofy Organics Review – Can You Make Money With It?